Acai is rich in antioxidants, catechins, procyanidins and phenolic acids. It also inhibits lipid peroxidation. Allantoin is an anti-inflammatory antioxidant. It repairs photodamage and reduces skin inflammation following UV radiation. Ascorbic acid, also known as vitamin C, increases collagen production in human skin fibroblasts. 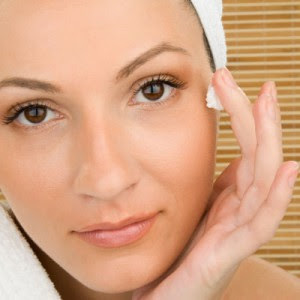 Topical application improves the appearance of skin. It is a photoprotectant, and is useful in preventing detrimental effects of UV radiation. Astaxanthin, a powerful antioxidant proven to be 1000 times more effective than vitamin E.
Caffeine, although not a polyphenol, is believed to play a key complementary role in boosting the antioxidant performance of other antioxidants such as green tea and cocoa seed extract. Cocoa seed extract is a source of polyphenols exhibiting strong free radical scavenging capabilities. Coenzyme Q10, or ubiquinone, is the basis of super-antioxidant idebenone. In-vitro studies showed that CoQ10 suppressed the expression of collagenase following UVA radiation. No side effects have been reported by its topical use. Coffeeberry is the proprietary name for an antioxidant extracted from the fruit of the Coffee Arabica plant. Stiefel Laboratories has launched coffeeberry-containing products. The company claims that using coffeeberry over a six-week period can result in significant improvement of hyperpigmentation, fine lines, wrinkles and overall appearance. Curcumin is found in turmeric. It has potent antioxidant, anti-inflammatory and wound healing properties. Ergothioneine is found naturally in many plant species. It has superior antioxidant properties and acts by reducing several forms of reactive oxygen species (ROS). Vitamin E is a lipid soluble antioxidant that is present in the skin and is also found in various foods. There are eight active isoforms that are grouped into tocopherols and tocotrienols. Its topical use demonstrated improvement in the signs of photoaging. Topical application has been linked with various skin side effects, including contact dermatitis. It is used in a number of sun care and skin care ranges. Ferulic acid, derived from plants, is a potent antioxidant and has been shown to provide photoprotection to skin. It has been combined with vitamins C and E and the resulting product has been shown to provide substantial UV protection to the skin. Feverfew has antioxidant, anti-inflammatory and anti-irritant properties. It may also reduce DNA damage. Genistein is an isoflavone derived from soybeans. It has a capacity to inhibit UV-induced oxidative DNA damage. Grape seed extract is sourced from Vitis vinifera. It is rich in proanthocyanidin, a potent antioxidant. It has been shown to be an even stronger scavenger of free radicals than vitamins C and E. The topical application seems to enhance the sun protection factor in humans. Green tea is extracted from the plant Camellia sinensis. A polyphenolic catechin, Epigallocatechin 3-Gallate (EGCG) is its most abundant active component with antioxidant, anti-inflammatory and anticarcinogenic activity. Hawthorn is a very potent antioxidant. It is 50 times more potent than vitamin E and 20 times stronger than vitamin C.
Idebenone is a synthetic analog of CoQ10. It has been demonstrated to be stronger than CoQ10 and other popular antioxidants. It is said to reduce skin roughness and dryness, as well as reduce fine lines and wrinkles. Kinetin is a botanical growth factor and an antioxidant. It restores skin’s barrier function and prevents photodamage. Lipoic acid is a unique antioxidant because it is both fat- and water-soluble and is readily available to skin cells, where its highly effective antioxidant properties protect from free radicals. Lycopene is a carotenoid found in red fruits such as tomatoes, chili peppers, watermelon, pink grapefruit, apricot and vegetables, to name a few, and is a powerful antioxidant. Mangosteen is derived from fruit. It has powerful antioxidant and chemopreventive benefits. It is also a natural source of flavonoids. Mushroom extract contains a variety of compounds with antioxidant and anti-inflammatory properties. Niacinamide or nicotinamide is the biologically active amide of vitamin B3. It has powerful antioxidant, anti-inflammatory depigmenting and immunomodulant properties. It improves the texture and tone of the skin and reduces fine lines, wrinkles and hyperpigmentation. It is well tolerated on the skin. Plant extracts, ginko biloba, green tea, Centella asiatica, ginseng, rosemary, juniper and horse chestnut have antioxidant properties. Pomegranate extract is obtained from the fruit Punica grantum. Its phenolic components have potent antioxidant activity. Topical application of the peel extract was shown to restore catalase, peroxidase and superoxide dismutase enzyme activities in-vivo. Pycnogenol is extracted from the French maritime pine (Pinus pinaster). It contains flavonoids and phenolic compounds acting both as a potent antioxidant and immuno-suppressor. Quercetin is a flavonoid antioxidant found in various fruits and vegetables. In vitro studies show it inhibited melanoma cell growth. Resveratrol is a polyphenolic phytoalexin compound that is found in grapes, nuts, fruits and red wine. It sends the body into survival mode, which could potentially increase lifespan and help maintain youthful skin. When topically applied, resveratrol protects against UVB-mediated oxidative stress and skin damage. Retinol (vitamin A) is oxidized into retinaldehyde and then into retinoic acid, the biologically active form of vitamin A. As a precursor to Retin-A, retinol provides a gentle alternative, yet with the same long-term benefits. Two randomized, controlled trials reported significant improvement in fine wrinkles after 12 and 24 weeks of treatment. Silymarin is derived from the milk thistle plant, Silybum marianum. It has strong antioxidant properties. In vivo studies have shown photoprotective effects with topically applied silymarin prior to UV irradiation. This property makes it a suitable additive in sunscreen formulations.